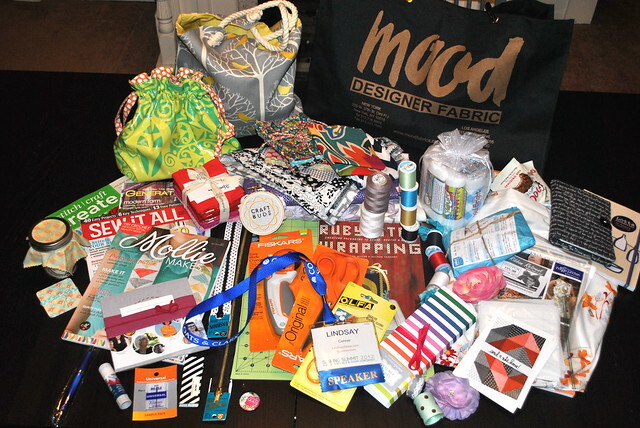 My Sewing Summit Experience: Part Two + Giveaway! Did you catch Part One of my Sewing Summit recap? Here's the best of the day two! For the first session, I hopped into the Website Design class with Melissa. 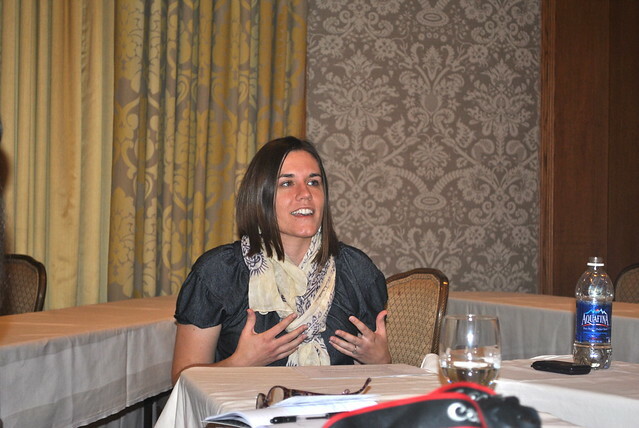 She had a lot of great tips for how to re-design your blog, including fonts, headers and icons. Overall, I was a little distracted, because I was about to teach my class during the next session. I ducked out a little early to scope out my classroom and get set up. My Creative Journey session was next on the agenda, and I'd received the class list ahead of time. So I was happy to know my first teaching experience would be with a small-ish group of 12 attendees. Instead of serving up the class lecture-style, my friends in the helped me rearrange the chairs into a circle so we could all see each other and just talk. Sara snapped this pic of me during the class. After all the nerves in the weeks leading up to Sewing Summit, I wasn't nervous at all during the class! It felt just like talking to my friends at home, and everyone was really receptive and participated in the discussion. I had the most fun listening to everyone tell me "what they want to be when they grow up." Hah! What did I talk about? Blogging, craft book publishing, and how to press forward when you face resistance. One of the themes of my story is how to move on when you face rejection. As I've learned, "no" doesn't mean "no" forever, and you can expect some crazy ups and downs along the way. As a surprise, I brought everyone in the class some swag: they each got to pick from cutting tools, fabric, craft books or T-shirts (thanks CraftFoxes)! After my class, I stopped and chatted with some new friends, and we all showed up late to lunch. I'm glad we weren't too late, because Joel Dewberry was speaking! Here's a peek at his new fabric line, Notting Hill. I own a lot of Joel Dewberry fabric, and I predict I'll someday own a lot of this! After lunch, I headed to my next session, which was Successful Blogging with Tauni. She was fun and engaging as a speaker, and had some great advice for bloggers, and I found it especially interesting when she shared that her most popular posts are guests posts and craft fails! She talked a lot about being honest in your blog and finding your own voice, which I'd love to grow in. My last class of Sewing Summit was Sara's Advanced Bags class! 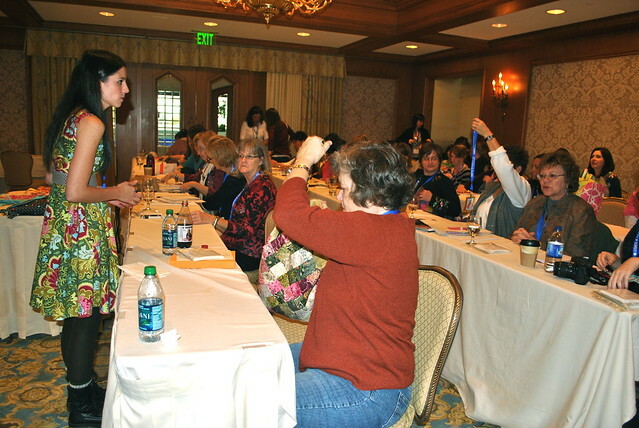 The room was packed out, and she brought lots and lots of her purses (most of them are free patterns on her blog) and answered questions about purse feet, zippers, interfacing and more. Everyone in the class got samples of Pellon interfacing to use for reference, which I predict will be super helpful. The keynote speaker at Saturday night's closing dinner was Nancy Soriano, the former editor of Country Living magazine, former publishing director of F+W Media and founder of The Creative Connection event. 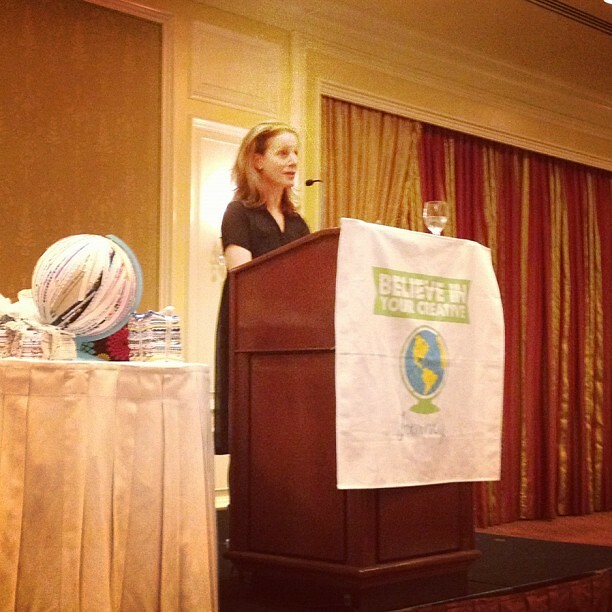 Her talk was geared toward people in publishing or the creative professional category, so it was right up my alley. I felt like her words echoed some of the things I've learned and shared about in my own Creative Journey session. No matter how far along in your journey, it's funny how we all face the same themes and life lessons! I really resonated with her advice to not back out of uncomfortable situations, or let fear keep you from stepping out into your creative passion. If I can claim even a fraction of Nancy's accomplishments someday, I'll be a happy woman. So inspiring! After Saturday night's dinner, I went to the room and packed for my flight. I booked a red-eye to Baltimore for my friend Rachael's wedding. Oh, yes I did. I was tired and squinty, running on about 2 hours of sleep, but it was so worth it to get this picture with my amazing friends! Day 4 and 4,848 miles later . . .
After the wedding, my husband (who met me in Baltimore) and I headed to the airport for our flight home. I wasn't sure how I would get all of my Sewing Summit swag and awesome roommate gifts in my luggage, but it all fit just like magic! As it turns out, this is what fell out of my suitcase back home. Giveaway #1: Leave a comment below, and I'll choose one random winner to send some of my extra swag. The contents will be a surprise! I'd love to hear what you love most about the sewing community. Oh, I am loving all these posts about Sewing Summit. Sounds awesome and I hope to go someday! I think my sewing friends push me to be more creative and to actually finish (some of) my projects. i belong to the Baltimore Modern Quilt Guild. I love the frienddnships and creative inspiration!!! Sewing Summit sounds brilliant!! but it's a long way from the UK!! I love the Friendships which start online and then develop when we meet in real life! I was born in Baltimore, so yay! I'm in the thick of raising two little boys, but when I do get to connect with other sewers I love the energy we all share for creating something with our own two hands! Even if I don't get to share any with you, I'm pretty excited about all of your loot!! I love the warmth and friendliness of the sewing community? oh this sounds like so. much. fun. i can't wait to be able to go to something like this!!! I love the endless amounts of knowledge that exists in the community. I love how lessons on how to hem turn into stories of Grandmothers and how it was "when I was little"... There is so much history in a stitch. I love all of the different ideas and inspiration from so many different people in the sewing community. What I love most about the sewing community is how freely people share their expertise and how everyone is so encouraging. I'm still very much a beginning sewer but I love the wealth of information available through blogs like yours to encourage and inspire creativity. It's been said before but I love how willing everyone is to share, help and encourage. Surely the nicest group of people on earth! oh FUN. I hope to go to sewing summit someday. Looks like you got a lot of miles in :)... I love the supportiveness and bountiful creativity of this community. No lack of people to help cheer you on as you tackle the next big project. Talk about a whirlwind week! Glad you had a great time at Sewing Summit! Pick me and I will come pick them up from your doorstep! I love that there are soo many events to get people together and that soooo many people are willing to share ideas and projects! What I love about the sewing community is that everyone shares their ideas and experiences. We all can learn from each other. I've met so many friendly and creative people in my online quilting clubs and sewing bees. I realy love the generosity of the sewing community. Time, ideas, and plain old STUFF, everyone wants to help each other and share. I personally have been so inspired by the sewing blogland community because it not only allows me to learn about techniques and get ideas for things I want to do, but it exposes me to people, and allows me to befriend people, I normally would never have met because they live all over the world! How lovely! So although I've been unable to aattend SS the blog and flickr peeps are amazing. So positive for the most part so we can all grow! My favorite thing about the sewing community is how you can have a conversation and feel like you've known someone forever and not even know their first name. You walk up to a cutting table with a few bolts of fabric and the person cutting and everyone else in line wants to know what you're making. As a SAHM with 2 little ones, it's so nice to talk about something other than princesses and trains for a few minutes!! This sounds like such a great conference! I love all the inspiration! Glad you made it to the wedding without losing your luggage again! Sewing Summit sounds awesome! I love the collaboration in the sewing community where one idea can be done over and over again by different people in different ways customized to their own tastes. What I love about the sewing community is that for the most part folks are eager to share with others tricks, helpful hints, notions, fabrics....Encouragement from the sewing community is pricelss...and the friendships developed stitch by stitch will never unravel. I love how with the use of technology globally the sewing community is but a finger click away support, resources, encouragement and a lending ear when days don't go as we had planned. I love when people share their knowledge on their blogs. Patterns, tutorials, and the work they create. I love to learn new things, and expand my knowledge on quilting, and they share that knowledge so freely. I love that I can feel connected through the internet and read blogs everyday getting some insight into my "e-friends life. as a new sewer (2 years in) i so appreciate all the tutorials out there from the sewing community. it's so generous. thanks! Thanks for sharing! I'm really going to try to make it to SS next year! oh what i love most - joel dewberry? lol, ok there is love, but not THAT much love. probably how it encourages me to get more done!! uhhhh goodies!! you must me exhausted!! I love the creative inspiration! Thanks for sharing! 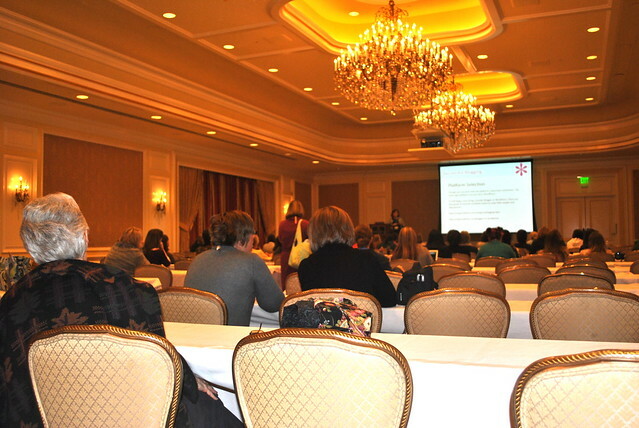 Great recap of Sewing Summit, it's so good to get all the details. I love that the sewing community is so generous & inclusive. Thanks for the chance to win. 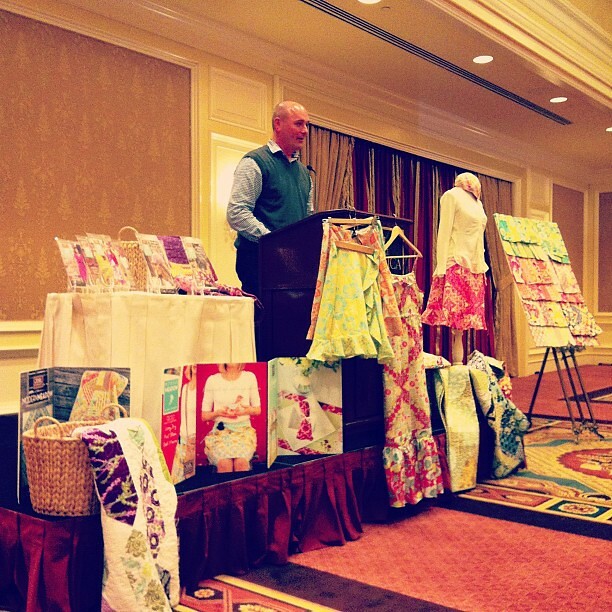 I love to hear about the great happenings from Sewing Summitt. I participated in the #notgoingtosewingsummitt hashtag party which connected me with new people! I love the online sewing community because of the positive support and learning it provides. I learned to quilt in the 1990's with an online listserv quilt guild and find todays online community just as supportive. I love seeing other people's creativity and being inspired. It's also nice to know that I'm not alone in my passion. PS, that Joel Dewberry fabric is GORGEOUS...he uses some amazing orange...I love it! Thanks for sharing your goodies. Looks like you had fun. And look at all those goodies! So jealous, I hope to attend next year!! I love how supportive everyone is in the online sewing community and how that translates to real life - one of the reasons I love my quilt guild! I love the support and sympathy the community has. They have all experienced the joys and frustrations of sewing and it is nice to always have them to bounce ideas off of or vent about your mistakes. 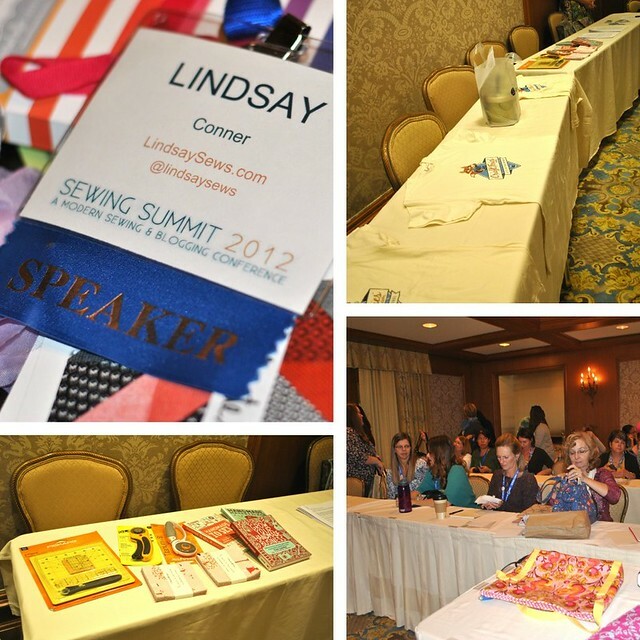 Thanks for sharing the details about your Sewing Summit experience, and the links! I love the way bloggers all inspire one another, especially when I see many takes on the same pattern. I just love the inspiration and the community! I love how willing people are to share their ideas and experiences. Thanks for sharing your pics & thanks for the giveaway. SS sounds like such an awesome experience! I'm having a good time reading about it through the blog world. I think my fave thing about the sewing community is the sharing. People are so willing to share tips, advice, tutorials - it's been fun learning to sew through what others were willing to show me. This is great! I think my favorite part about the sewing community is how willing everyone is to help and share patterns and all with each other. I am so grateful for that! Thanks for the updates... It's great to be able to see what went on. I have always been amazed at how much people are willing to share... time, ideas, resources... everyone gives so much! It's been wonderful to hear about everyone's Sewing Summit experiences, and I feel like I've learned a few things even though I couldn't make it this year. I love the encouragement in this sewing community. I think we're all looking for some support and validation to varying extents, and it's wonderful to see how happy everyone is to offer both! I so wish I could take part in something like this... around here all the courses are in languages I don't yet speak... the joys of expat living. Thanks for letting us share your experience and the giveaway! There are so many nice things in the community... Get inspiration, be "jealous" about such beautiful projects, new tutorial, and the interesting day to day stories... That is why I like this community so much! Awww....looks like so much fun. This year just wasn't a good time for me to go but maybe next year....thanks for sharing your experience though! I love the inspiration and support of the sewing community. I don't have a lot of friends who share this interest so it's wonderful to have people online. Thanks for a great giveaway! I love that no matter what, if I meet someone who sews or quilts I feel like I have an instant connection with them. There is someone at my new job whom I rarely speak with but she knows I sew and we talk about her sewing machine and stuff whenever we see each other. It's awesome to feel like it's my anchor in this new city with a new job. Same things goes for the sewistas I meet through blogs. AND the sewing and quilting industry is just amazing! They just embrace change and trends in the most amazing and inspiring ways. I like the fact that people are willing to share experience and tips for those of us that are newbies. I love all the sharing - seeing what everyone else is making, whether they're sharing a tutorial or just inspiration. Thanks for sharing Sewing Summit! Sounds like you had a wonderful time, I'm in the UK so going to the FQ retreat again next year and looking forward to it already! I am new to sewing and have unleashed a thirst that I am finding difficult to quench. I would love to win some swag. I think the thing I most appreciate about the sewing community is the generosity to share - knowledge, tutorials, inspiration, friendship! Thanks for your generous giveaway! What a fun round-up to the week! I wouldn't know anything about sewing or quilting, if not for the blogging, sewing community! Everyone is so kind to share their knowledge. Thanks so much! It's so great to get inspiration and see new projects or techniques you haven't tried yet. I love that so many people are generous with their time and their creativity to write up tutorials for those of us who are not quite as technically or artistically inclined. Thanks for sharing your experiences and your bounty! What I love about the sewing community is how generous everyone is with their knowledge. I love how supportive everyone is! I don't think I would have pushed myself as far this year without the blogging community! Thanks so much for your informative post! It looks like you had fun. Wow, I am enjoying these sewing summit posts so much! I'm so excited to go next year, I can't wait! It's great you were able to see your friend's wedding too! Sure you were glad to be back home after all of the traveling and fun though! Awesome giveaway! What I like best is the sense of shared awesomeness, if that makes sense, of the sewing community! It's like a group of insta-friends who are so wonderful and helpful and encouraging! Thanks for sharing your SS experience! Hope to make it to SS next year! What I like about internet communities, is that people share what they know, and make friends while in the process... I've recently started following the sewing/quilting community, but speak from the baking/cookie perspective... Thanks for the chance to win! I love how supportive the sewing community is. You have questions and their quick to help out. You need and ear and they're all here to listen. I'm glad you had a great time at Sewing Summit. I've been following different sewing blogs for a long time but I just started learning to sew this year. I love seeing all of the projects and creativity. Thanks for the inspiration you provide on your blog and the for chance to win! The sewing community is so friendly and generous. As a fairly new quilter, it's wonderful to have a community that's willing to help and impart (with joy) their superior talents and skills with me. I am so glad you had fun...but how could you not?!? I love the sewing community I've found in blog land and in real life through DCMQG! I've been so inspired to do a ton of charity sewing, and when I get done with my latest batch, I'm excited to try projects that inspire me from all over the place (need to make use of some of my many craft books!). Thanks for sharing your extra goodies! thanks for the chance! I love that everyone I know who sews, are good people. Sounds like a great time. I love the inspiration that comes from looking at all the amazing things everyone creates. Thanks for the chance! I love love love how helpful everyone is in their tips and tutorials. It really makes it easier for a novice seamstress! Thanks for the chance to win! I love being able to fawn over fabric with people who understand. I also appreciate being able to seek help from more experienced sewers. Thanks for sharing your swag! I love the idea sharing! I love that I immediately feel connected to others through a common love of fabric and sewing. The sewing community provides so much inspiration - I'm constantly checking for ideas - from color to technique. And the generosity of those that provide tutorials for their ideas is wonderful. Have a great day! I am just joining the online sewing world and I love looking at what people are doing and their level of sewing. I didn't even know there was a sewing summit...guess I have to wait until next year but I would have loved to experience it.